Having pets requires a lot of sacrifice and commitment, but we find that our furry companions are always worth the time and effort. 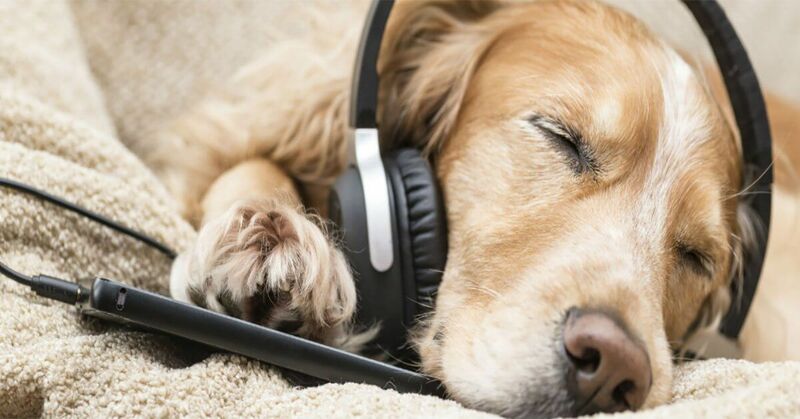 As many pet owners know, there are certain precautions you need to take with your home if you plan on leaving your pet at home alone or even in another room alone. Chewable cushions need to be hidden, glass has to be stored away, and any bite-sized object cannot be in reach. Recently, plants have become a popular, environmentally-friendly way to furnish your space, but certain plants can be toxic for pets. To avoid any accidents, check out our pet-friendly plant guide! Azaleas: While these flowers are beautiful, they are also extremely dangerous. The deciduous plant contains grayanotoxins which can disturb the skeletal and cardiac muscle. 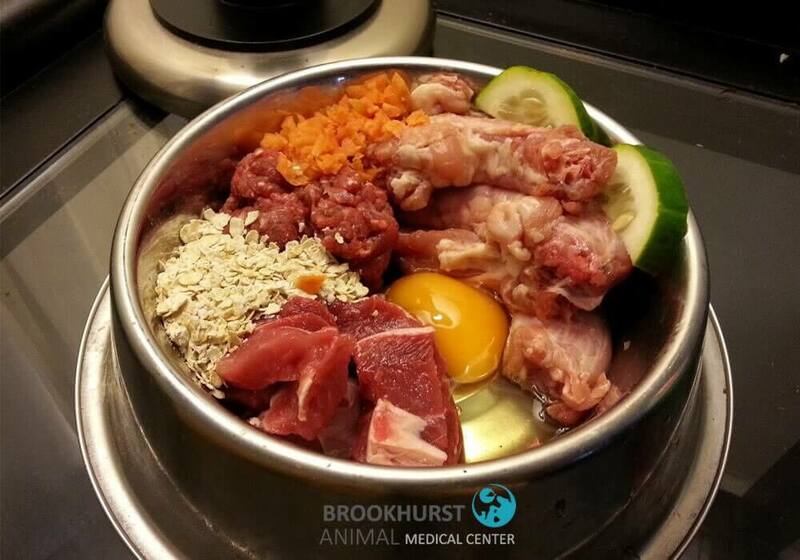 If ingested by dogs or cats, it can cause gastrointestinal pain, heart problems, neurological illness. Lilies: Even small ingestions of lilies can cause serious organ failure for cats. If you suspect your cat has consumed a lily, bring them to the veterinarian immediately. Lily of the Valley: This type of lily is less toxic than true lilies, but it is still extremely dangerous to cats and dogs. Cyclamen: Saponins are glycosides that can have life-threatening toxicity. The roots of cyclamen contain these irritating compounds and they can cause vomiting, diarrhea, and heart problems if consumed by dogs and cats. Crocuses: These plants are highly toxic and they can cause serious organ and intestine failure. Keep species of this plant away from cats and dogs. Daffodils: These sunny flowers may brighten up your room, but they’re not so great for your pets. Daffodils contain a vomit-triggering compound called lycorine that can make your dogs and cats sick. Oleander: The seemingly fragile, inconspicuous flowers on oleanders can actually wreak havoc on your pet’s cardiac system. The plant is full of cardenolides that will interfere with the heart muscle’s electrolyte balance. Tulips: With these flowers, the toxins are concentrated in the bulbs. Dogs and cats who dare to dig up the bulbs as chew toys may experience increased heart rates, change in respiration, and trouble breathing. Hyacinths: Just like tulips, hyacinths have concentrated toxins in their bulbs. Keep them in high places to keep animals from digging them out. Hibiscus: Humans may be able to enjoy hibiscus tea, but animals don’t react well to these tropical blooms. The Rose of Sharon is one specifically harmful species that can cause dehydration and an upset stomach. Birds of Paradise: These avian lookalikes contain gastrointestinal irritants that shouldn’t be eaten by dogs, cats, or horses. Chrysanthemums: The UC Davis School of Veterinary Medicine has reported chrysanthemums as the plants that most frequently poison pets, so consider giving away your multi-petaled flowers to a friend. Dieffenbachia: This leafy shrub contains insoluble calcium oxalate crystals that can cause irritation in the mouth and gastrointestinal tract. It can result in drooling, vomiting, and stomachaches for both dogs and cats. Kalanchoe: Also known as Mother-of-Millions and the Chandelier plant, the Kalanchoe is a popular succulent that should kept out of reach from pets. It contains cardiac toxins that can harm dogs and cats if ingested. Aloe Vera: The gel of aloe vera is known to be incredibly soothing and beneficial, but it definitely shouldn’t be ingested by any means. Cats, dogs, and rabbits can result in stomach problems. Mistletoe: We love getting into the spirit of the holidays, but mistletoe should be kept at a safe distance from any inquisitive pets. The berries are full of unsavory lectins, alkaloids, and polysaccharides that can be fatal in large doses. English & Boston Ivy: It’s unlikely that you’ll have these sprawling plants in your house, but it’s growing on your walls or near your windows, it could cause a lot of trouble. The vines are toxic to dogs, cats, and humans alike. Morning Glory: Oddly enough, these lovely blossoms are actually vines, not flowers. Regardless, they have hallucinogenic and toxic seeds. Keep them away from dogs and cats to prevent a visit to the animal hospital. Wisterias: If you have outdoor pets, keep them away from wisterias. The soft, lavender blossoms are anything but gentle on those who consume them. The tree’s seeds are poisonous and they can cause nausea, dizziness, diarrhea, and vomiting. Oak: It’s no secret that oak tree leaves and acorns can be toxic to animals because of their tannic acid. This acid can cause serious kidney damage and gastroenteritis if consumed. Sago Palm: In California, palm plants of all kinds are easier to breed. The Sago Palm, however, is extremely toxic to animals. 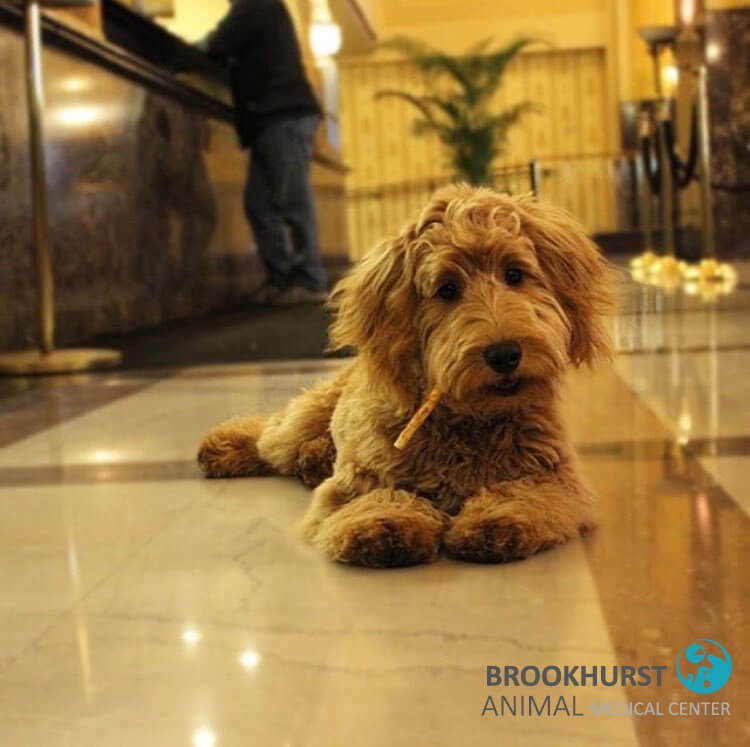 If your pet ingests parts of the Sago Palm, they need to be seen by an emergency vet immediately or there may be devastating effects to their central nervous system. Elephant Ears: This is another tropical foliage plant with giant, shady leaves. Though these plants aren’t fatal, they can cause terrible indigestion if cats and dogs consume the leaves or stems. This isn’t a comprehensive list, but it does cover most popular houseplants. If your shrubs aren’t on the list, check with your local veterinarian if you need to take any precautions with your plants. If you just can’t part with your greenery, remember to keep your flowers and shrubs in a safe place where your pets won’t be tempted to nibble on them. As plants age, their leaves or petals can also wilt to the ground, becoming accessible to pets. Make sure to sweep these up before your pets can get to them. Fern: Specifically, Boston and Sword ferns are nontoxic and they’ll fit perfectly in the corner of a room. Other species may be highly toxic, so make sure you read the labels before you purchase! Bamboo: To add some dimension to your room, add a few bamboo plants! They shouldn’t be toxic to dogs and cats. Spider plants: This popular houseplant makes a vibrant addition to any household and it’s nontoxic. However, that doesn’t mean your pet won’t try to play with the long, spindly leaves. Try hanging spider plants from high places to keep your animals from wrecking your plant. Echeveria: Not only is this succulent absolutely adorable, it requires little maintenance and it’s safe to keep around cats and dogs. The leaves rarely shed and it’s nontoxic. Haworthia: These spiky little plants are a relative of the aloe that are relatively easy to take care of. Areca palm: Add a tropical vibe to your home with the areca or butterfly palm. With good care, this plant can live up to 10 years without problem. Orchids: For a beautiful, pet-friendly flower, pick up orchids. This fragrant plant can be a stunning centerpiece. Barberton Daisies: If you have a green thumb, the Barberton daisy is a challenge we recommend taking. Though it’s a sweet plant, it takes a lot of effort to grow and manage. On the bright side, the flower is safe for dogs and cats. Basil: Like most herbs, basil is safe for humans and most pets to consume. Plus, you can add it to your pizza once it’s fully grown! Peppermint: Keep your dog’s breath fresh with home-grown, nontoxic peppermint! Burro’s Tail: This unique succulent is named after a donkey’s tail because it looks just like a fluffy green tail! It’s a nice hanging plant to brighten up a room and it’s completely safe for pets. There are plenty of other plants you can grow without worry, but make sure to check it out with a veterinarian or botanist first. While you can control your environment at home, we recommend training your pets not to chew on any types of plants at all. They could be easily be exposed to poisonous plants when they’re out and about, so the best way to avoid a pet emergency is by teaching them to avoid foreign plants altogether. If your pet accidentally consumes a toxic plant, call a veterinarian as soon as possible. 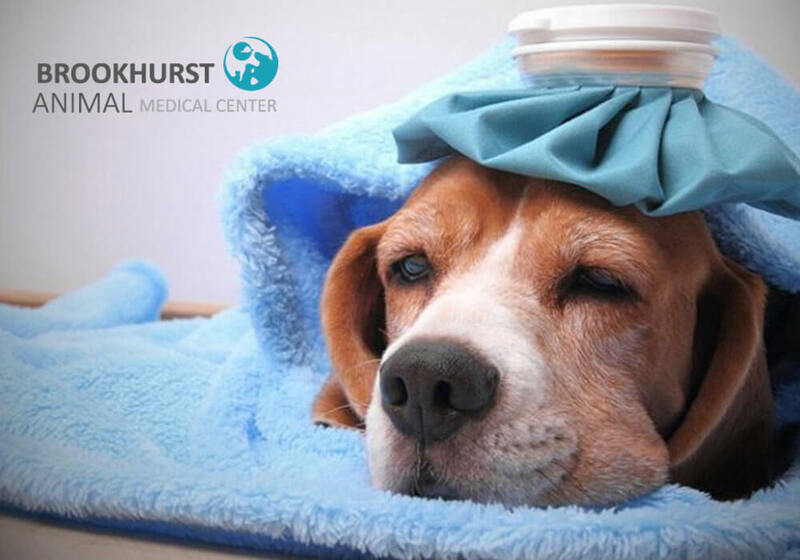 At Brookhurst Animal Medical Center, our Anaheim veterinarian is trained to quickly diagnose and treat the problem, so it doesn’t cause further damage. 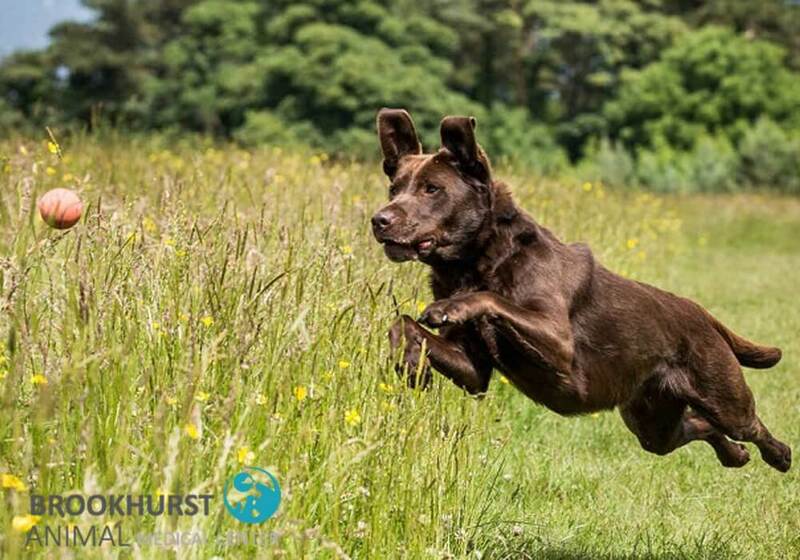 Give us a call if you have questions or need to book an appointment with the vet at Brookhurst Animal today! Now that we’re in October, it’s time to break out the pumpkin spice treats and haunted house decorations. We know the spooky celebration is tons of fun with family and friends, but this year, remember to include your pets as well. There are tons of ways that you can celebrate Halloween with your animal(s) and get them excited for the season, too. Let’s get started! When you’re searching for the perfect costume this year, consider coordinating with your pet! There are two things to consider when choosing a costume for your pet: comfort and safety. Try getting a lightweight costume that allows your pet to breathe and move freely. A little goes a long way! 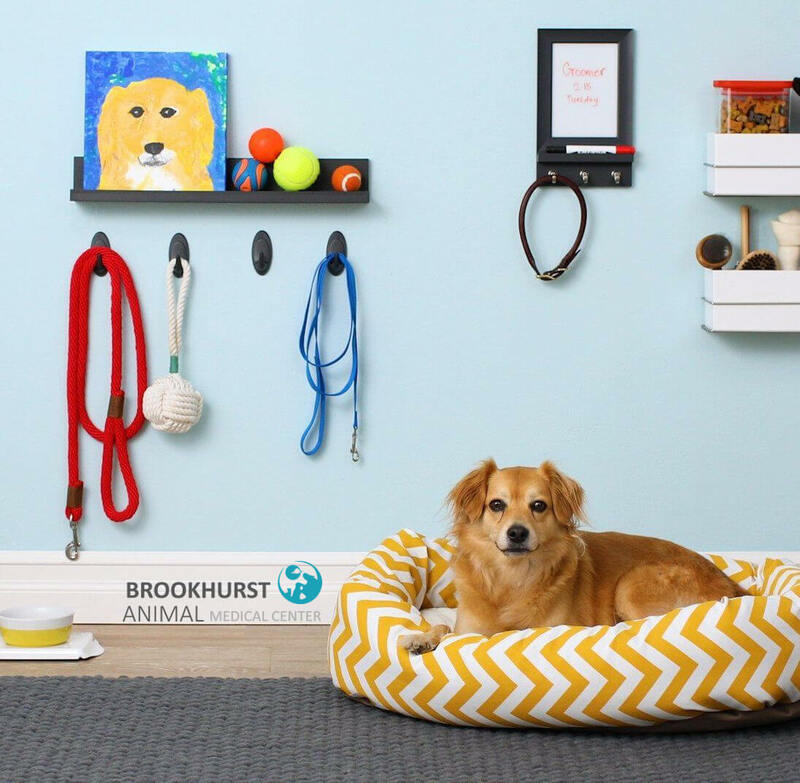 Sometimes, a few simple accessories are all you need to transform your pet’s appearance. Since pets can’t tell you how they feel, try to be conscientious of how your pet is behaving in their costume. If they’re stiff, stressed, or whining, check to the see if the costume is properly fitted. Some pets just don’t like costumes and if this is the case, it’s okay to abandon the costume idea, too. Constriction: If the costume is too tight, it may be keeping your pet from functioning properly. If their ability to see or hear properly is impaired from the costume, you may have to make adjustments! Choking hazards: Costumes may come with small attachments like buttons or ribbons can easily be consumed when they’re not supposed to be. This could be a huge problem if your pet has a habit of chewing up random objects. If there are strings or belts, they can also get wrapped around your pet, causing trouble breathing. Sharp objects: Extravagant costumes could have wiring, studs, zippers, etc. that are sharp and dangerous. Blood and gore may be good decorations for Halloween night, but they’re not a cute look for your pets. Excess fabric: If there’s extra fabric on your pet’s costume, like a long skirt or cape, it could cause accidents or tripping that result in unwanted injury. Try to tailor the costume, so it moves with your pet. Flammable materials: Stay on the safe side and check if the materials used for your pet’s costume are flame retardant. Pets are our partners in crime and they deserve to partake in Halloween, too! Many department stores and pet stores sell costumes for dogs and cats now. You can dress up your cat or dog as a taco, pancake, unicorn, mermaid, and more. Other animals are a little more difficult to find costumes for, but they’re definitely out there. You can even make your own! We’ve seen tons of snakes in hats, rabbits as pokemon, and pirate birds. The options are endless. Dogs: You might not want to give your pups pumpkin pie because of the high sugar content, but actual pumpkin puree is packed with fiber and beta-carotene. There are tons of pumpkin dog treats on the market or you can whip up your own. We like combining pumpkin puree with ingredients like apples, bananas, or peanut butter to change things up for our dogs. Cats: Unlike dogs, cats don’t exactly have the same palate as us humans. Luckily, October is still tuna season (June – November) and you can get fresh tuna to reward your cats for good behavior. If you don’t trust yourself to prepare kitty-grade tuna snacks, there are also dried treats that you can buy in-store. Birds: Honey treat sticks are a conglomeration of bird feed and seeds stuck together with honey. Even though it’s a big serving of seeds all at once, there is an element of portion control because it can be difficult to peck the food off the sticky honey. You can leave it inside your bird cage for your pets to leisurely snack away. Check with your veterinarian that all the seeds on the stick are okay to eat before you purchase one. Large seeds like pumpkin and sunflower can be hard for smaller birds to open and enjoy. Small rodents: Rats, guinea pigs, hamsters, rabbits, and gerbils will adore you for treating them to a few carrots. These are a healthy, orange snack that can be eaten in lieu of pumpkin, candy corn, etc. For these creatures, a moderate amount of fresh veggies is usually more appetizing than candy or pastries. Reptiles: Fake spiders and insects make creepy Halloween decorations, but real ones make even better treats for lizards, turtles, and geckos. Unlike their scaly cousins, snakes don’t eat quite as often. In fact, large snakes can eat as little as once a week or a few times a month, so you don’t have to worry about getting them snacks or treats. Lights: Going for a Nightmare Before Christmas look? Make sure any lights you plan on stringing up are properly secured and far out of reach from your pets. You also want to protect wires and plugs from being tampered with. Jack o’ lanterns: Carving out pumpkins is a fun activity that you can enjoy with friends, families, and even pets! As long as you keep sharp knives and seeds away from your animals, they make excellent models for unique pumpkin designs. When you’re ready to display your pumpkins, swap the candles for led lights instead. They’re not a fire hazard and they’ll look just as good as regular wax candles. In fact, you might want to replace all your candles with LED lights just to be safe. Monsters: Skeletons, Frankenstein’s, mummies, oh my! Strategically arranged monsters are sure to inspire terror this Halloween, but your animals might not feel the same way. Instead, they’re probably seeing a giant chew toy. To keep your dogs, cats, pigs, etc. from gnawing on your Halloween decorations, bar off the areas where you’re keeping them with pet doors. You can also put unappealing scents, like ammonia or vinegar, on your decorations to ward off curious pets. Cobwebs: Well-placed cobwebs can turn any welcoming home into an eerie, haunted dwelling. Try putting your cobwebs in higher areas, like the tops of bookshelves, televisions, and lights. Not only is this more realistic, it’ll keep your nosy pets from getting tangled in them. Fish tank: Spice up your fish tank to reflect the spooky spirit. Cracked mirrors, jagged rocks, skulls, and faux pumpkins make for a fearsome underwater environment. We encourage fish owners to get creative, but also make sure their decorations aren’t making their water cloudy or dangerous. Stay away from anything that’s too big, sharp, or pointy. Your pet’s comfort is still of utmost priority. In general, we advise owners to simply keep decorations away from pets. When shopping for spooky ornaments and accessories, check if there are hazard or flammability warnings, too. We all love a good scare this time of year but not from our pets! There are tons of ways to adorn your home with Halloween decorations and these are only a few. If you’d like to share what your plans are, leave it in the comments below. We’d love to know about all the fun you and your pet are having this Halloween. 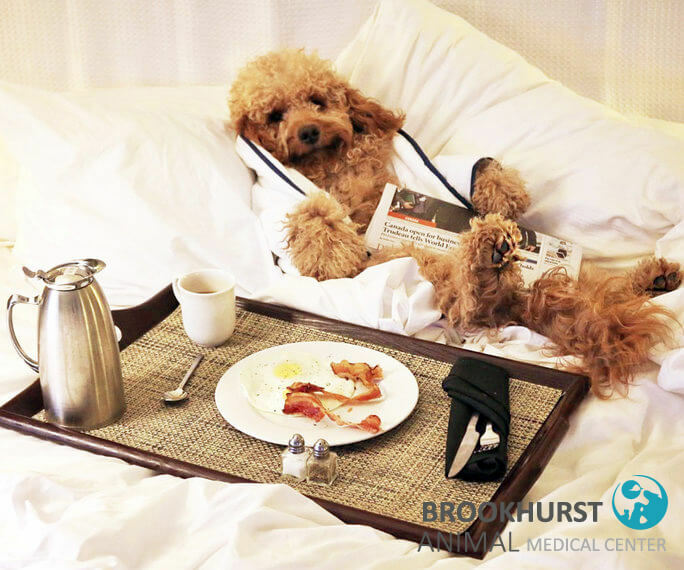 At Brookhurst Animal, we advocate for pet safety no matter where you are, but we know that accidents can still happen. If you find yourself with an animal emergency, please stop by our vet’s office as soon as possible. Dr. Lopez is an experienced veterinarian in Anaheim who has been helping the community for years. Feel free to call in if you have any questions! 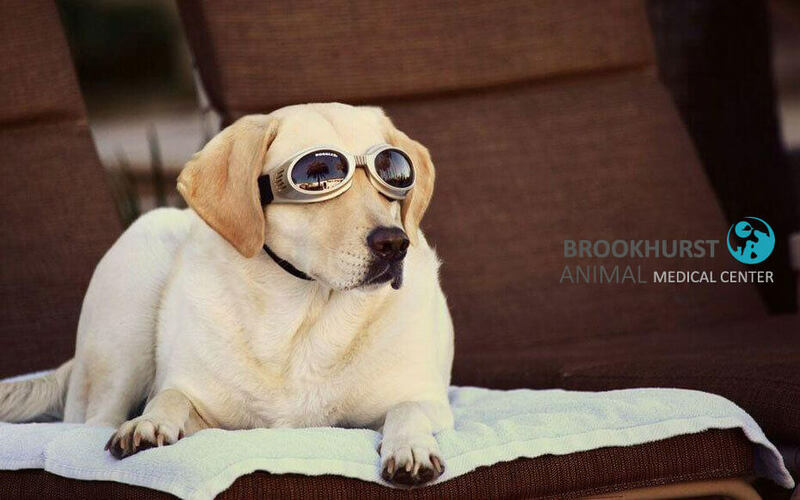 We love animals of all shapes and sizes here at Brookhurst Animal. Although our veterinarian primarily treats domesticated animals nowadays, Dr. Lopez has had extensive experience with exotic creatures in the past! He’s treated all types of wild animals, like snakes and lions. There are tons of critters freely roaming the streets even here in Anaheim. Although these animals are beautiful and deserve to be respected, they can also be dangerous to us and our pets. We’ve compiled a guide for pet owners and how to handle wild animals in Anaheim! Street dogs live in urban areas, subsisting maily off leftover scraps from garbages and small animals. Like domesticated dogs, they’re highly intelligent and they’ve learned how to survive by learning human behaviors. For example, wild dogs have learned to use crosswalks and ride subways efficiently. Although these scrappy dogs may be adorable, they can be dangerous to people and their dogs. We advise people to avoid approaching street dogs since street dogs are not vaccinated and they could be carrying heartworm, parvo, rabies, ticks, or more. Since these dogs also don’t have owners or training, they can be difficult to control when they feel threatened. You can’t know for certain whether a street dog is hostile or not. If you encounter a dog on the streets, do not approach it. Go a different route or wait somewhere out of sight. Most street dogs will attack out of fear, so you don’t want to trigger the dog by running towards it or kicking it. If you’re walking your dog, do not let it engage with the street dog. Use your body to block their view of each other and stand still, avoiding eye contact. Usually, dogs will not attack people who are standing calmly. In the event that the street dog does attack, try to distract it by throwing food or a stick far away. Call animal control as quickly as possible and try to protect your face, hands, and chest. One tactic that often works is giving the dog a piece of clothing to attack rather than letting it attack you. Feral cats are quite common in Anaheim. Unlike stray cats, who are tame and comfortable with human interaction, feral cats have adapted to wildlife and rarely engage with people. Many of these cats coexist in colonies, sharing space and food with each other. They typically keep their distance and they’re able to survive independently by hunting small animals and scavenging for scraps. It’s improbable that feral cats will pose much of a threat to you as they are usually quite fearful of humans. However, they can be a nuisance in the neighborhood. Since they’re not domesticated, they will urinate and defecate almost anywhere which can be unpleasant for people living nearby. Feral cats are also known to carry fleas, dig holes, and fight loudly. For people with small pets like rabbits, hamster, guinea pigs, or birds, it’s important to keep them inside unless you’re supervising because they are easy prey for feral cats. The best way to prevent feral cats from occupying areas close by is spaying and neutering them. Cats are known to breed constantly when they’re not sterilized. Since there aren’t enough homes or food to provide for them, it’s better to spay or neuter them to avoid overpopulation. Orange County offers Trap-Neuter-Return and Spay-Neuter-Return for people who would like to stabilize the feral cat population. These backyard marsupials are pretty common in Anaheim. Unlike cats and dogs, they’re rarely domesticated. The nocturnal creatures are mostly harmless, but they can become troublesome if they’re ruffling through your trash for scraps and digging up your backyard. Since opossums are omnivores, they can also pose a threat to smaller pets like kittens, hamsters, mice, etc. Opossums are also fearful of predators like large dogs and full-grown cats. Having your dog mark its territory outside and guard the premise is another excellent opossum deterrent. Believe it or not, there have been multiple sightings of rogue peacocks in the streets of Anaheim. Originally introduced from India to Los Angeles, these peacocks eventually made their way to Orange County. It can certainly be surprising to see a wild peacock in your backyard, but it’s not too uncommon here in Southern California! These magnificent creatures certainly add vibrancy to the local scenery, but Anaheim might not be the most ideal place for them to live. Many residents have complained about the fowl shrieking in the morning, scratching vehicles, defecating, and digging up plants. Furthermore, it’s not completely safe for them to be walking around. They could easily consume harmful pesticides and rat poisons or get hurt by the feral cats and dogs. To ward off these birds, you can sprinkle red pepper in your yard and cover plants with netting to prevent them from scratching up your hard work. You can also get a motion-sensored sprinkler or throw water at them manually. If your property has trees, make sure to keep branches clipped as peacocks often climb trees in the early mornings. Should things become too unmanageable, you can always call animal control. Lions, tigers, bears, and… coyotes? Yes, there are plenty of coyotes roaming around Anaheim Hills that have made their way down to Anaheim. These highly adaptable animals have been extremely successful at surviving and spreading to urban areas throughout the US. Despite making homes in our community, it’s still rare to encounter upon a coyote in broad daylight. The animals much prefer hunting at dusk or dawn. In civilized areas, coyotes may rely on hunting smaller, domesticated creatures. Fully grown coyotes are usually about 1.5 feet tall, 4 feet long, and around 20-50 pounds heavy. Coyotes are larger than most cats and dogs, so if there is a coyote warning, we highly recommend taking outdoor pets inside to avoid problems. Though coyotes usually hunt rabbits, squirrels, and snakes, they are known to go after larger prey in times of desperation. Especially after the fires and drought in Orange County, coyotes have become much bolder because of their dwindling food supply. As urban coyotes become more used to humans, it’s important to know what to do should meet one. Like their domesticated counterpart, dogs, coyotes usually won’t attack unless they feel threatened, so don’t make sudden movements that could startle them. Treat coyotes as you would a street dog – stand up straight to look larger and place a large object between the two of you if possible. You can also make loud noises to scare off the coyote if it doesn’t back off. If you encounter an entire pack of coyotes, call animal control immediately! The most common snakes found in cities are garter snakes. They are small to medium-sized snakes that eat small creatures that they can hunt, such as mice, slugs, lizards, and small fish. Though snakes have a treacherous, killer reputation, garter snakes are typically harmless. Though they do produce venom, it’s such a minimal amount that it can’t hurt humans. Rattlesnakes are also fairly common in Orange County. They’re easily identified by their tails, which have rattles at the end. Unlike garter snakes, their venom is poisonous to humans and they can even paralyze. If you come across a snake, don’t panic. Urban snakes are usually much too small to be hunting and attacking humans. These snakes will only bite if they’re frightened. If you have small children or pets, you can call a professional service to remove the snakes or purchase a snake trap. Otherwise, leave it alone! If anything, these slithery fiends will only help get rid of household pests like rats and bugs. We often see ducks, swans, and geese at the local pond or park, but sometimes, they may wander into our neighborhoods. These birds are pretty harmless, but we don’t recommend trying to provoke them or even feeding them near your home. Since most urban waterfowl are used to being fed by humans, they aren’t scared of us like other wild animals. Once they realize you have food, they won’t hesitate to chase you down! Small children should be supervised if you are observing them. These bold birds may peck with their sharp beaks if you’re not careful. To keep your dogs and cats from chasing or hunting them, we encourage owners to keep their pets on leashes if there are wild birds around. Perhaps the bravest of all wild animals is the raccoon! These striped, nocturnal animals mainly eat human leftovers by sifting through garbage. These critters are notorious for breaking into homes to filch snacks and damaging property. Worst of all, they could get into fights with household pets. If you have tiny pets like kittens, puppies, gerbils, etc, make sure they’re safe from raccoons. The omnivores will eat almost anything they can get their hands on. To prevent raccoons from infesting your home, block all entryways inside. If they’re already there, you can install one-way doorways to keep them from coming back. Place locks on all trash cans and use sensory alarms to ward them off. Bright lights, pungent smells, and sprinklers are all great ways to scare off raccoons. Many people use the scent of ammonia and cayenne pepper to repel them. Unbeknownst to most, bats are quite populous in Anaheim. Luckily, these bats aren’t really harmful and they only come out at night. In fact, they’re a huge help in controlling the bug population and balancing the ecosystem. With the recent increase in mosquitoes, we’re actually welcoming them with open arms… or should we say, wings? The only concern with bats is the host of diseases they might be carrying without being symptomatic. In Anaheim, bats have been known to carry rabies and SARS. These diseases can be transmitted through their feces, urine, and saliva. Make sure your curious pets and small children stay away from such substances should you come across them. If you find a bat, don’t touch it! Either leave it be, call animal control, or if you must, use gloves and protective clothing to trap and remove it. In order to evacuate bats from living in your home or attic, you will need to call a wildlife professional. They can safely move the bats to another place. If there’s a family of bats during summer, we don’t recommend trying to relocate them until the fall. Parent bats can easily get separated from their young and lose them in the process. Squirrels are probably the least problematic of all the wild creatures on our list. They’re quite common in Orange County and generally appreciated by the community for their nondisruptive and adorable demeanor. Squirrels are less of a problem for people than people are for squirrels. Dogs and cats often hunt squirrels because they are natural prey. To prevent dogs and cats from bringing home dead squirrels, practice on obedience training and keep them on the leash when out. We don’t recommend trapping and relocating rabbits because they could be traumatized and hurt in the process. If they’re really becoming a problem, we suggest hiring a professional. Even in Anaheim, our veterinarian is tending to wildlife problems regularly. 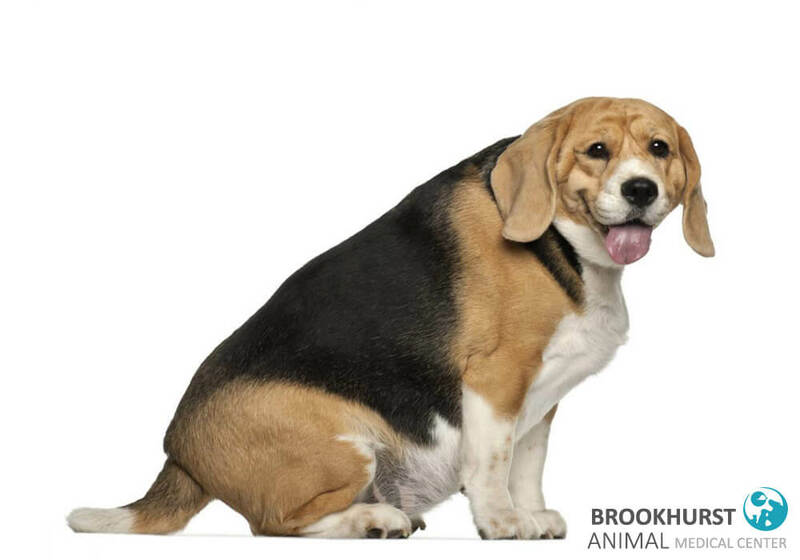 At Brookhurst Animal, we respect all animals and we encourage pet owners to do the same. If your pet has been in an altercation with a wild animal, bring them the local vet immediately. Wild animals can carry diseases that must be treated as soon as possible. 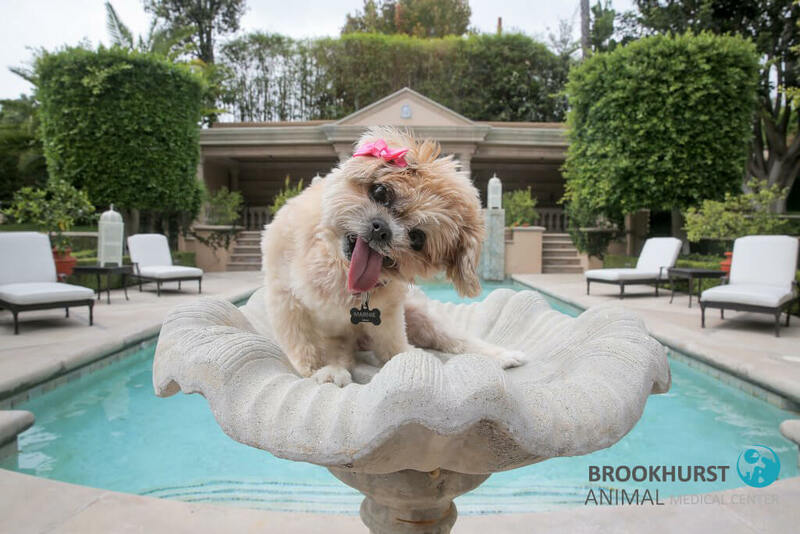 Don’t hesitate to call Brookhurst Animal for animal emergencies in Anaheim or the surrounding Orange County area. We’re here to help! Growing up, it’s pretty normal to feel completely uncomfortable in your own skin sometimes – it’s just a part of growing up! Some reptiles and bugs bring a whole new meaning to that saying, however. As they grow, it’s common for these animals to simply crawl out of their old skin. If you’ve noticed a change in your pet’s appearance and behavior such as discoloration, lack of appetite, or cloudy eyes, they might be shedding their skin! Here’s why and how you can help them through this natural process of growth. The skin is an organ that continuously grows with the rest of the body. Molting or shedding is the process of regenerating new skin cells and discarding old skin cells. While humans are able to regenerate or shed skin unconsciously, other animals don’t shed quite so gracefully. Unlike humans, some reptiles shed layers of skin in large quantities periodically. Other creatures such as snakes and exoskeletal bugs may shed all their skin at once, which is called ecdysis. Snakes are a popular example of animals who undergo ecdysis. According to Cascade Kennels, snakes can shed their skin fairly regularly, from 4 – 12 times a year. Snakes shed as they mature, so younger snakes that are actively growing shed more than older snakes. As snakes begin to shed, their skin becomes dull and dark. Since the old skin includes spectacles that protect the eyes, the snake’s eyes will fill up with liquids between the old and new skin, making their eyes look white and blue. To remove the skin, snakes will normally rub against different objects, but snakes can come across issues if the temperature is too dry. Humid conditions help the skin rub off smoothly, so if you have a pet snake that is struggling to shed its skin. It can be a good idea to measure and adjust the humidity in its environment. Lizards shed their skin in pieces, so don’t be alarmed if you find a giant slab of skin in your lizard’s tank! The skin will naturally fall off the body, but lizards can also exfoliate their skin off by rubbing against rocks or branches. 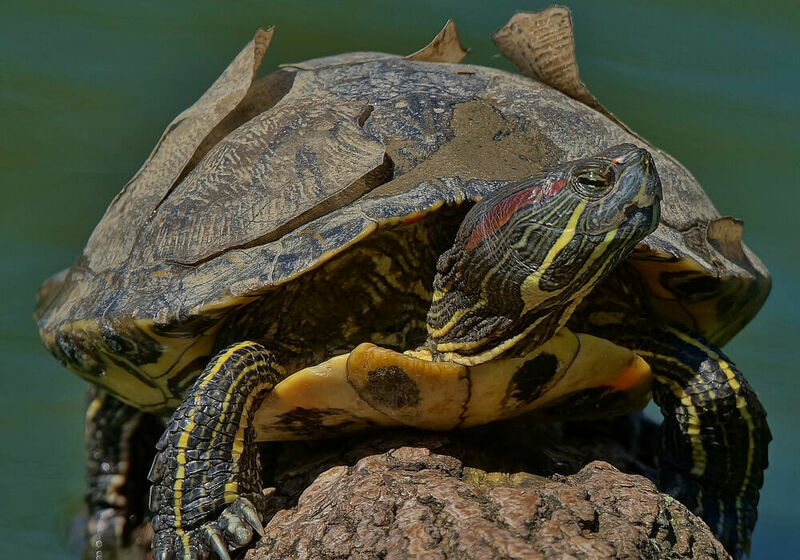 Like lizards, turtles and tortoises also shed skin in pieces, especially around their neck, legs, and head. As their shells grow, their scutes (plate-like scales) peel and flake off. You can learn more about turtle shell peeling here. It is common for animals undergoing shedding to be irritable and lose their appetite. Concerned pet owners shouldn’t worry too much about the change in temperament or shedding. You can leave your pet to shed skin naturally for the most part. If you think something is truly amiss, contact your veterinarian for professional help. No matter what species you own, it’s important to keep an eye on your pet to make sure there is no abnormal shedding or infection occurring. Our veterinarian, Dr. Lopez at Brookhurst Animal Medical Center in Anaheim, can assess whether your animal is having problems shedding. For snakes and lizards, he can speed along the shedding process for snakes by carefully bathing the snake in water for an extended period of time. For turtles, it’s quite the opposite. Too much time in the water could lead to infections or mold which Dr. Lopez can also treat. While it’s possible for pet owners to attempt the same procedure, it is generally advised to see a professional because shedding is such a sensitive process. Ultimately, it depends on the situation. Check out this article about reptile molting or give your local vet a call to learn more. Shedding is a normal part of a reptile’s growth, kind of like puberty with the weird skin and cranky disposition. It’s also a good indicator of your pet’s general health. Too much molting? They might be overfed. Too little molting? They might be malnourished. Either way, now you have a better understanding of your scaly friend and you’ll know what to do at these crucial stages of growth (which is mostly nothing). Happy shedding! Suns Out, Buns Out: 5 Rabbit Breeds You May Not Know Existed! Rabbits can make great pets – they’re cuddly, small, and downright adorable. However, it’s important to understand that they are also a huge investment. Like any other pet, these creatures require lots of space, time, attention, and resources to care for them. With that being said, there are a lot of rabbit breeds available if you are interested and prepared to take on the responsibility of a pet rabbit. According to the American Rabbit Breeders Association, there are 49 distinct breeds of rabbits with different characteristics from their ears to their fur. 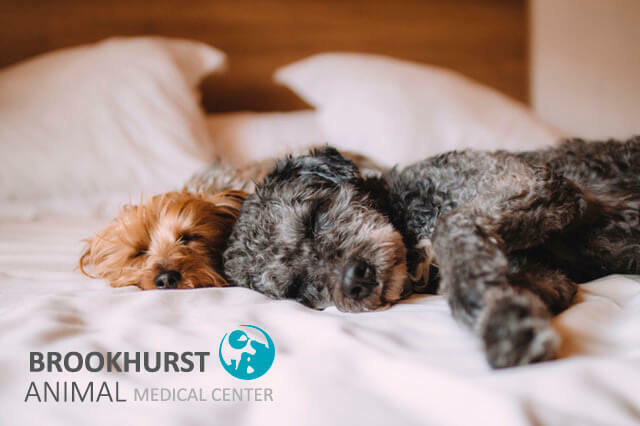 Our veterinarian at Brookhurst Animal Medical Center, Dr. Lopez, is trained to treat bunnies, and he has a special place in his heart for the little critters. From his experience, here are a few unique types of rabbits that stand out the most. Some are rare while others are common and make excellent companions. Check out our list of notable rabbit breeds! Lionhead Rabbits: The Lionhead Rabbit is a new breed of dwarf rabbit that originated in Belgium. Its name is derived from its lion-like, wool mane around its head. These intelligent creatures can be trained to use litterboxes and follow basic commands. They can also be incredibly social and energetic pets. If you plan to adopt a Lionhead (or any rabbit at all for that matter), it’s important to have lots of outdoor space for your pet to explore and exercise. Angora Rabbits: There are four different types of Angora Rabbits, but they all share the same long, silky Angora wool. These fluffballs are generally easygoing and playful. Like other rabbits, they are high maintenance creatures. Owners should be especially careful of wool block, which is a condition that rabbits may develop from ingesting their own hair as they groom themselves. Since Angora Rabbits have especially long, thick fur, they’re more susceptible to this condition, which can cause loss of appetite and major digestive problems. Dr. Lopez recommends monitoring your rabbit’s stool and regularly grooming its long fur. Colombian Pygmy Rabbit: The Colombian Pygmy is the smallest member of the rabbit family, with adults averaging around 1 pound each. Unfortunately, you probably won’t be able to own this little bun as a pet because they’re an endangered species due to the loss of their natural sagebrush habitat. However, you can appreciate them in all their tiny glory at the Oregon Zoo, where experts are working to breed and conserve their species in the wild. Volcano Rabbit: As original inhabitants of the volcanos in Mexico, this round rabbit breed gets its name from its interesting home. Unlike other members of the rabbit family, they have short, brown fur and have tiny ears. They’re also known for making a high-pitched squeal to communicate rather than thumping. Unfortunately, they are also an endangered species and it’s improbable that you’ll be able to adopt one. Sumatran Striped Rabbit: The Sumatran Striped Rabbit is known for its striking appearance, namely the distinctive brown stripes on its coat. Unlike the other balls of fluff, this breed is long, lean, and muscular. Little is known about the incredibly rare, nocturnal bunny except that it is intelligent and elusive. The Sumatran Striped Rabbit is so rare, it’s only been sighted a few times and most people are unaware of its existence at all. Unfortunately, as humans continue to destroy Indonesian forests for resources, this rabbit breed faces the threat of extinction from habitat loss. Rabbits come in all different shapes and sizes. If you’re interested in raising one of your own, make sure you’re properly educated on rabbit care first. Despite how cute and gentle they are, bunnies are the third most abandoned pet after cats and dogs, according to the National Geographic. A great option is to check out the local animal shelter and adopt a rescue rabbit. These extraordinary animals also require medical attention from a veterinary specialist. At Brookhurst Animal Medical Center in Anaheim, Dr. Lopez provides specialized care for exotic pets like rabbits. If you’re ever in need of a rabbit vet in Anaheim, feel free to stop by.